FULLERTON, Calif. – The Cal State Fullerton men's and women's cross country squads continue the 2013 season this weekend on Saturday at the CSUSB Invite hosted by Cal State San Bernardino. The men's 8k and the women's 6k course will be held at the San Bernardino County Sheriff's Training Academy in San Bernardino, Calif. The men's invite race will start at 8:30 a.m. followed by the women's invite race at 9:15 a.m.
CSUSB INVITE: The race will take place at San Bernardino County Sheriff's Training Academy (18000 Institution Road, San Bernardino, Calif., 92407). 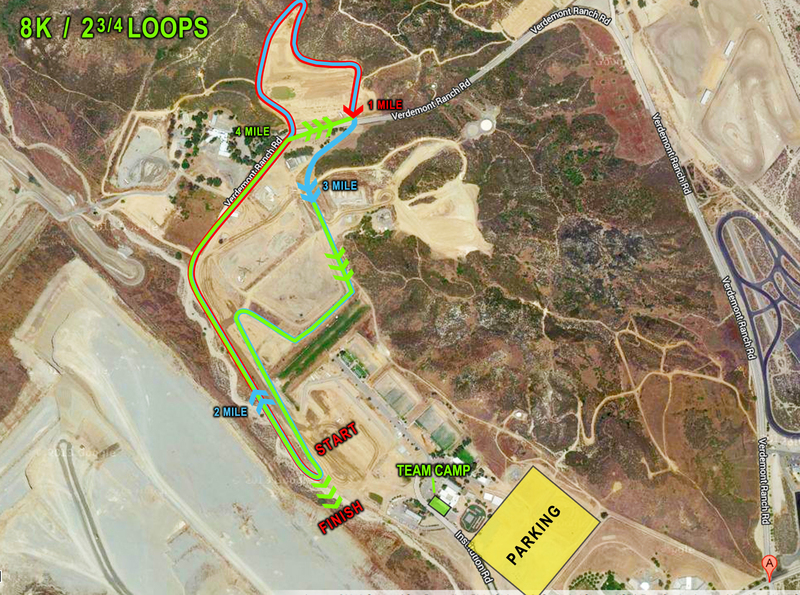 THE COURSE: The course is 2K loops of 99 percent hard-packed dirt, rolling hills and a slight down hill to the finish. RESULTS: Complete results will be posted on Fullertontitans.com. MUSTANG CHALLENGE: Cal State Fullerton freshman Gilbert Solorza finished fifth overall to help the men's team to a second-place finish (53 points), while the women finished fourth (92 points) at the Mustang Challenge in Santa Clarita, Calif., last Saturday. Solorza was the first Titan runner across the line, completing the 8k course with a time of 25:15.1. The Buena Park, Calif., native has been the first Titan finisher in the first three meets for Fullerton this season. Freshman Jose Penaloza posted the second best time of 25:36.6 to finish ninth overall (9 points). Daniel Ramirez (25:45.2) and Brandon Perry (25:49.7) were bunched closely in 10th and 13rd, respectively. On the women's side, junior Tijerra Lynch finished in 21st with a time of 19:04.5 and freshman Arianna Fuentes finished right behind in 23rd place with a time of 19:07.8. Freshman Amanda Crissinger (24th, 19:12.9), freshman Michelle Botello (26th, 19:19.1), freshman Abby Buckhoff (30th, 19:27.8) finished in the top 30. FRESHMEN MAKING AN IMPACT: In three collegiate races, Gilbert Solorza has recorded the fastest times for the Titan men. At the Mark Covert Classic, Solorza, a native of Buena Park, Calif., ran a 25:53.5 8k, which was 18 seconds faster than the next Titan finisher, and at the Fresno Invitational he ran a 20:02.9 four-mile. Most recently, Soloraza finished sixth (first among Titans) at the Mustang Challenge with a time of 25:15:15. SECOND PLACE FINISH FOR TITAN WOMEN: After coming in second place behind Cal Poly in the Fresno Invitational, the Titan women tied their best meet team finish since the Northridge Invitational in 2010. TEAM FINISH FOR MEN: The Titan men recorded a second place finish at the Mustang Challenge, which was the team's best finish since Sept. 3, 2011 when the team placed second at the Asics Season Opener.